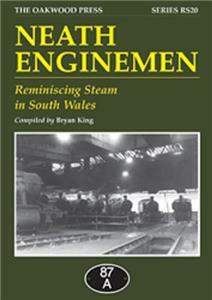 The stories in this book have been collected by Bryan King from the close-knit community of West Glamorgan railwaymen. They tell of life on the railway in another era, primarily working from the two Neath engine sheds � Court Sart and N&B � but also included are stories from Swansea and Margam. Over the years there have been plenty of incidents and accidents and this is recalled by those who were there. Come of the railwaymen can remember the days of the Great Western, but most of what is told dates from the British Railways years when the big ‘42XX’ 2-8-0Ts and the numerous smaller tank engines were the regular motive power. The decline of the Vale of Neath and Neath & Brecon lines recorded as the South Wales industry contracted. A5 format, 192 pages, more than 200 illustrations.